As the recognized international authority on tall buildings, CTBUH conferences differ significantly from the many commercial conferences that are now being held around the world, in terms of both quality of knowledge-sharing and networking opportunities. Dissemination of best-practice information is of primary importance at every CTBUH conference. Thus, every main program presentation given at the 2017 Conference was substantiated by an abstract, which was peer-reviewed and published in the conference proceeding: a book of abstracts with links to each presentation, which form an important historical archive long after the event has ended. Every 2017 Australia delegate received a copy of the 2017 Abstract book, along with a digital copy of each abstract and links to each presentation. 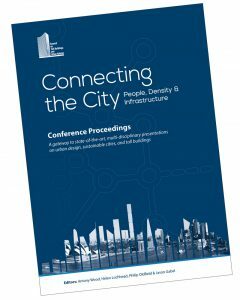 This collection of abstracts serves as a gateway to the presentations given at the CTBUH 2017 Conference, which took place across Sydney, Melbourne, and Brisbane, Australia, from 29 October to 3 November, 2017. The presentations upon which these abstracts are based inquire far beyond the tall building as an icon, to debate a new set of guidelines and responsibilities toward skyscrapers becoming “connectors” in the city. This is reinforced by the on-site visits and detailed design presentations of projects embraced in the conference program. The discussion embraces every discipline, from urban planning to cost consulting, architectural design to vertical transportation, real estate development to curtain wall design.